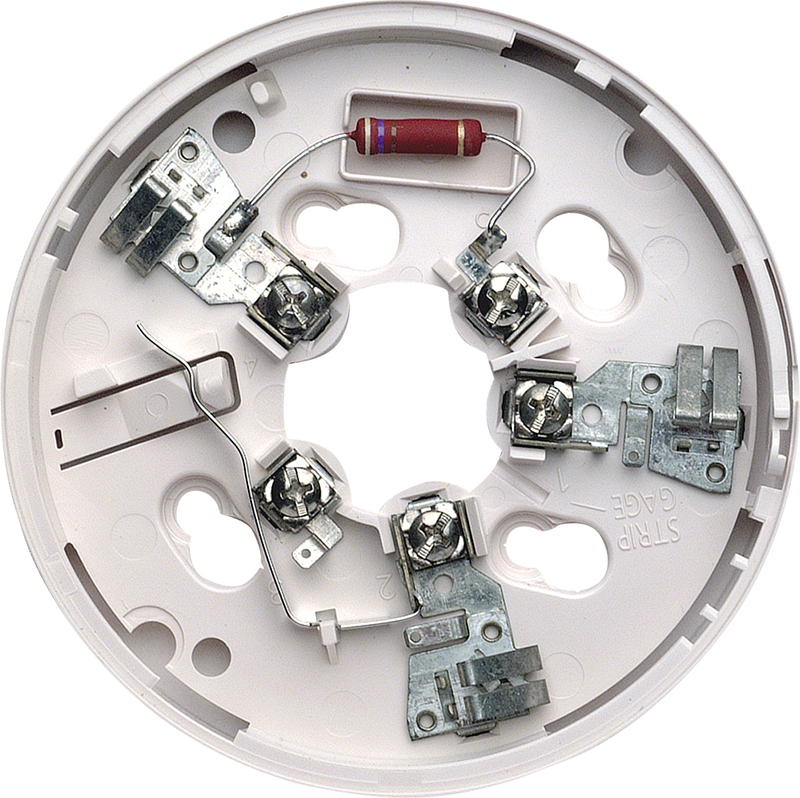 This B401 plug-in detector base is used with System Sensor smoke and heat detector heads. The capability of plugging these detectors into a variety of special bases makes them more versatile than equivalent direct-wired models. Refer to the System Sensor catalog for other available plug-in detector bases. The B401 base is intended for use in 2-wire systems, with screw terminals provided for power and remote annunciator connections.